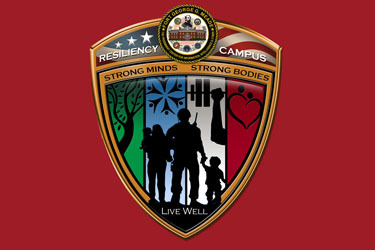 The FMA Foundation has embarked on a significant partnership with the U.S. Army and the Fort George G. Meade Garrison to establish a Resiliency Campus for the service personnel, their families and civilians at the Installation. The plan includes the renovation of Kuhn Hall on the installation and its conversion into the Resiliency and Education Center, which will serve as the hub of information, programming, and services for our Fort Meade Community. The Center is an Army-wide but not Army-exclusive initiative that focuses on the five areas of resiliency: physical, emotional, social, family and spiritual. At this center, individuals and their families will be able to locate those essential programs that will help them with issues or concerns and manage the unique challenges they face. The region’s 50,000 military and DoD personnel face unique challenges in supporting our national security while working for and with the more than 115 government Agencies and organizations inside Fort Meade. Whether it is being deployed into a dangerous environment half way across the world or dealing with the immense stress of their missions here at home, our national defense depends on the health and well being of these individuals. They deserve the support, services and programming that fall under the umbrella of the US Army’s Resiliency initiative. The Foundation is now in full fundraising mode — raising the $3.6 million necessary to build the Fort Meade Resiliency and Education Center. Support our efforts by making a donation today. The FMA began collaborating with Kimbrough’s Behavioral Health and Occupational Health divisions, the Army Substance Abuse Program, Army Community Service, the Office of the Staff Judge Advocate, the Religious Services Office, the Installation Safety Office and Fort Meade Public Affairs — all members of the Resiliency Working Group of the Fort Meade Community Health Promotion Council. The first objective of the Resiliency Working Group was to create a Resiliency Brochure that shows where all of the Installation’s existing resiliency efforts are located. The brochure was made available in Spring 2013. Click here to download the brochure.